I had to replace the earphones on one of my recently purchased MP3 players as the sound quality of the headphones that came with it was crap. I tried the Bose In-Ear Headphones since I heard a lot of good things about Bose and their home theater sound system is really great. The Bose In-Ear Headphones didn't disappoint in terms of sound quality. There's the richness and crispiness in the sound that was previously missing when I used the headphones that came with my MP3. The Bose In-Ear Headphones also has a pretty good design. The Bass sound is pretty amazing. I guess the first disadvantage of the Bose In-Ear headphones is its price. I know there are much cheaper alternatives but a friend of mine said that the Bose In-Ear headphones has the same sound quality when compared to the headphones he bought for a cheaper price. The Silicon tips fits perfectly on the ears, however, when not in use, there's a tendency to lose the tips. I have already lost the silicon tips several times but thankfully, I always found it on the floor somewhere. 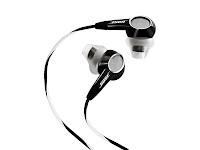 The Bose In-Ear Headphones is a great headphone for those looking for great bass sounds on their headphones and for those who can afford it. Otherwise, you can find other alternatives in stores that are a little bit cheaper. hiii, i have been following your blog regularly. your blog is simply awesome. I adore your style of writing and your power of verbal expression is breathtaking. great work mate. i have added you to my list of favorites. i blog about a variety of topics like movies, games, technology, health and also a few jokes. do visit my blog and add a link to my blog in your site incase you like it. have a nice day.